This piece of piano bench hardware attaches the lid of your piano bench to the frame, in order to prop the piano lid open without it closing. 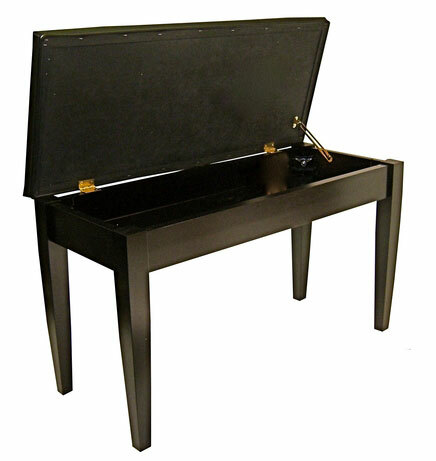 It is designed with a notch so that the lid can be supported while getting music out without putting pressure on the hinges of the bench (the screw on the inside of the music compartment will fit into the notch when the lid is open, keeping it open). The hinge part of the hardware with the two holes is attached to the piano lid. Shipping for our piano accessories is $4.95 to anywhere in the United States. We will combine shipping.